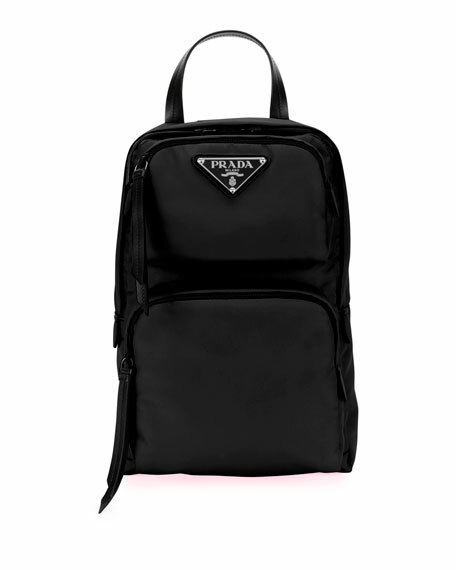 Prada nylon backpack with contrast leather trim. 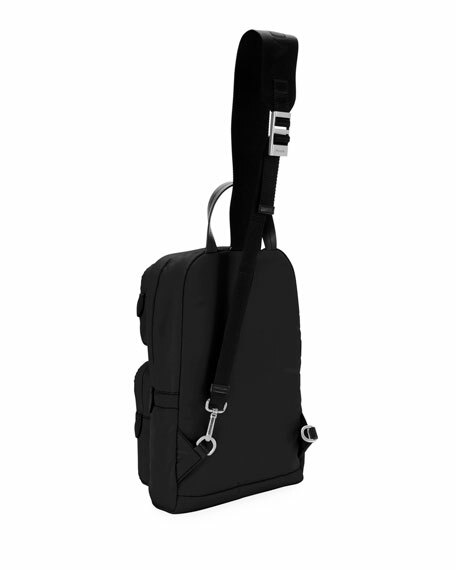 Prada nylon backpack with contrast studded leather straps. Part of the Prada Black Nylon group. Flat top handle. Adjustable shoulder straps. Flap top with buckle. Two front pockets. 12.6"H x 11.8"W x 6"D. Made in Italy.